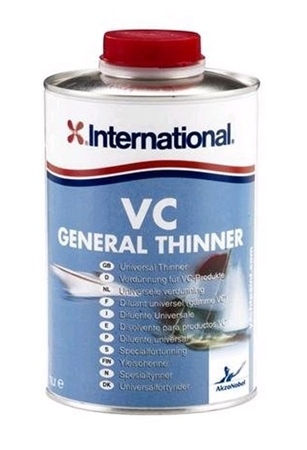 VC General Thinner from International Paint is formulated to thin all VC products where necessary and clean application equipment. It will also re-dissolve VC 17m and can be used to remove VC 17m if required. Size: 1ltr.